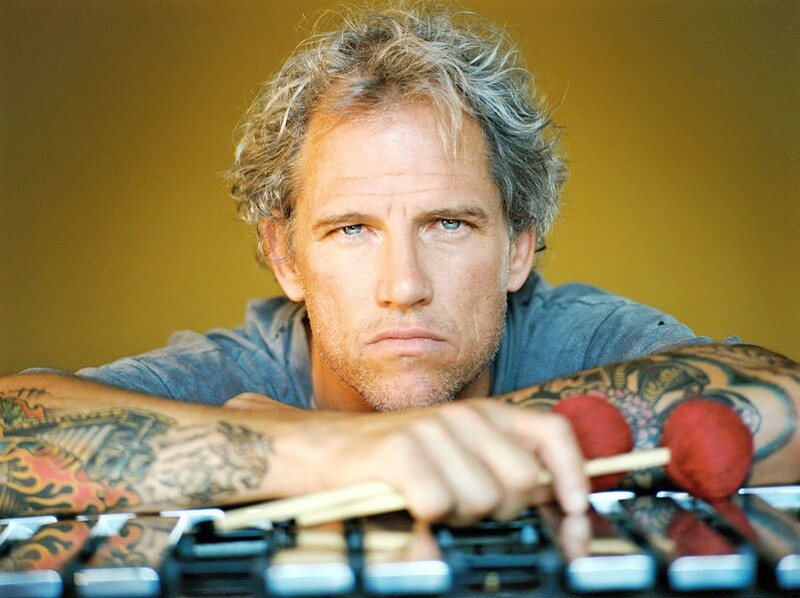 Courtesy of the artist The Mike Dillon Band plays The Jam at 9 p.m. on Monday, Jan. 18. As many of you parents know, finding the time to make it out to live music shows can be just as difficult as staying awake/sober until the 9 p.m. start time. This isn't completely exclusive to the breeders in our community, but applicable to all of us at the mercy of aging. Young and underemployed? No problem. You can squeeze in your first show of the night, then bounce over to the Alibi for the headliner starting after midnight, then stand around smoking cigarettes in the alleyway as Ian locks up the back door and still have an hour until A.P.D. closes. Older and underemployed? Problem. Whoever you got to look after your kids is only on the clock until 10 p.m., at which point you need to get home so he or she can leave and head over to The Jam. So you cram in a nice dinner and then show up at 8:45 p.m. waiting for the opener to take the stage. 9:30 p.m. rolls around before anyone steps up to the mic. You're starting to yawn, and wondering if that pint of DIPA was really a good idea. You catch three songs by the opening band before you need to head home. Sure, you'll brag to your friends that you and the old lady made it out on the scene like you all used to, but what you won't tell them is that the siren's song of Netflix and pajamas was almost enough to keep you house-bound for the night. So why do I bring this all up? Well, perhaps as a quick overview to our friends who still invite us to shows knowing they have a better chance of hitting the Powerball than actually seeing us at a concert. It's not that we don't want to go, it's just that we kind of don't want to go. However, I did make it out to two shows this past weekend and it made me feel young again. OK, not really, but it did remind me of my younger years. Both venues had good, eclectic crowds. Silver-hairs: check. HSU/CR students: check. Eureka professionals: check. Eureka punkers: check. Arcata funkers: check. Over-enthusiastic dancer who looks like an extra from Little House on the Prairie: check. Because of the music that they were all there to experience, there was nothing odd about all these strangers hanging out together, sharing drinks and dancing. Back in the day, dances and balls gathered the community around music. Fast forward a few hundred years. Many of the instruments have changed along with the fashion and uptight and awkward dance moves (for some at least), but not the underlying purpose. Music brings together in one place people who might not normally be able to stand each other. And they leave smiling. It's easy to forget that. So check out some of the shows listed below and join your community. If beer and jazz are your itch, go get scratched at one of Blue Lake's "community centers," Mad River Brewery. The Low Notes start around 6 p.m. and they won't ask for any of your money (they may not refuse it however). Enjoy some local brew and local music at the same time. Catch Jimi Jeff doing his acoustic thing at the "top of the hill" in McKinleyville at Six Rivers Brewery. He'll be on around 9 p.m. in the main room. Give the music a listen when not shouting at people around you. This one's a free show. A few miles east, you can check out another free show from The Uptown Kings. They'll be on around 9 p.m. at the Blue Lake Casino and Hotel, playing until the wee hours. There's a triple band bill of reggae and reggae influenced tunes in Redway. Up from San Diego, Tribal Seeds delivers some of their "spiritually driven" roots reggae — isn't most reggae spiritually driven? — with a touch of a rock vibe. I'm not sure what makes me more jealous, that the Seeds have played with Jane's Addiction or that they have played in Aruba. For a band that hits the No. 1 spot on the Billboard Reggae Charts, I guess I shouldn't be surprised. Joining them are The Skints, all the way from London with some reggae fusion and punk, which should make for an interesting combo. Rounding out this bill are The Steppas from Hawaii. Visiting the mainland for some reason, they're billed as a "fusion of roots, rock, ska, and occasional lovers reggae." I'm no reggae aficionado, but I've got no clue what "lovers reggae" is. I assumed reggae was, like Virginia, naturally for lovers. This show at the Mateel is all ages and starts at 8 p.m. $20 will get you in the door. With nary a love song in its catalog, local Pink Floyd tribute Money will return to Blue Lake's Logger Bar around 9 p.m. for free. Rumor has it that the entire Wish You Were Here album will be performed (full disclosure: the bass player — yours truly — starts rumors). In Arcata, you can experience the rare treat of it being socially acceptable to wear your pajamas out in public (pause for laughter). Scuber Mountain throws its second annual pajama party at Humboldt Brews at 9:30 p.m. Want to hear what the Scuber sounds like? Check 'em out on KHUM around 2:30 p.m. as they perform live on Larry's show. Psychedelic folkers Moon Pine open the show. $7 for those in their outside pajamas. $10 for everyone else. Recent émigrés from New Orleans and now Humboldt residents PonyKiller will be at The Jam around 9 p.m. Dark and dramatic, the psyche/punk moniker works fairly well for these fellas. You can imagine some hard rock married with some Surrealistic Pillow-era Jefferson Airplane with Bruce Dickinson on vocals. Also on the bill is fellow Big Easy-ites The Mike Dillon Band. Mike tickles the marimba and vibes and is good enough to have played with Primus — visiting us recently on the Chocolate Factory Tour — and Ani DiFranco. Give them a warm Humboldt welcome tonight by ponying up $5. If you were trying to name a band that was downright funky, yet refined and sophisticated, what would you come up with? I'm still thinking, but some folks already got the corner on a good one. Join Sophistafunk at 9 p.m. at The Jam. What do they sound like? Well, I'll let you guess. An $8 cover charge for this one. Hot off a recent win at the 2015 Telluride Bluegrass Festival, The Lil' Smokies visit Humboldt from their fair city of Missoula, Montana. They've shared the bill with Steve Martin and the Steep Canyon Rangers, Greensky Bluegrass, the Yonder Mountain Stringband, etc. so you know they're serious. They'll be at Humboldt Brews at 9 p.m. Witness it all for only $10. Andy Powell is a congenital music lover and hosts The Night Show on KWPT 100.3 FM weeknights at 6 p.m. He doesn't believe suspenders are a fashion accessory.